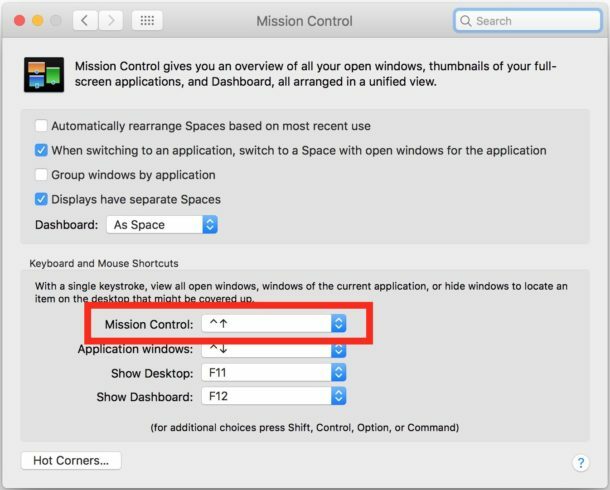 * If Mission Control is grouping your window previews together rather than tiling them as thumbnails, uncheck to disable the “Group windows by application” setting in the Mission Control System preferences of Mac OS. It only shows stuff for the current Desktop. Is there way to show _everything_ ? That would be more useful since I usually know what is on a given Desktop, but I loose track of what is on each Desktop. Thanks. I was occasionally getting the all windows view. But I didn’t know it was called Mission Control. Now I know what it is and how to get it. Elwood: True enough, you only see the current “spaces” desktop. Most usually I just *hold* the Command key and touch the Tab key to see all the open apps. Tab over to the one I want, let got of Cmd, and I’m there. Most usually I just *hold* the Command key and touch the Tab key to see all the open apps. Tab over to the one I want, let go of Cmd, and I’m there. 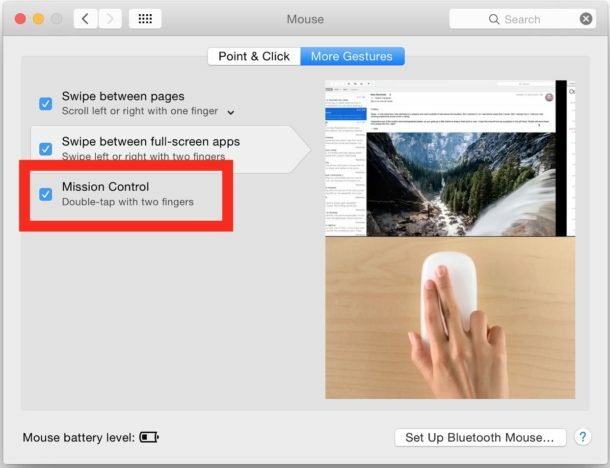 There are apps like Better Touch and Magic Touch that make using Mission Control a lot easier than the default OS methods. Mission Control is such an under rated feature in OS, and is especially nice with maxed out RAM . I would love to be able disable (cripple) this damn thing. 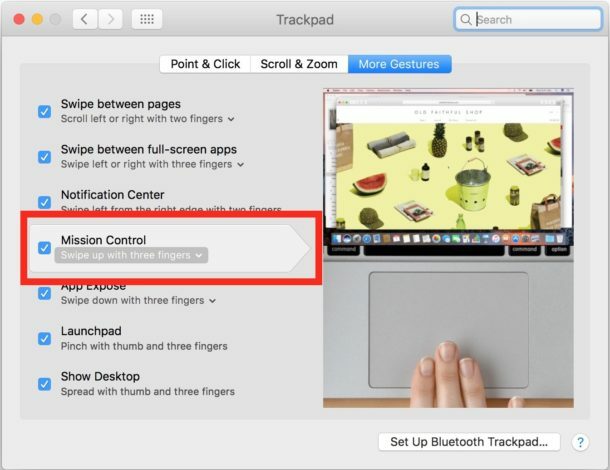 An inadvertent swipe on a track pad involves it, even if you turn off the gesture via system preferences. 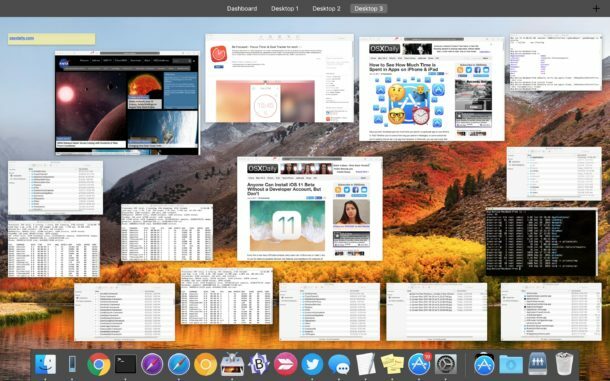 I agree with Elwood Downey: if you are going to use several Desktops, it makes sense to have a Mission Control function that shows all open Windows on all Desktops. Restricting open Windows to the current Desktop rather defeats the point of having multiple Desktops. In Snow Leopard, the F9 key would display all open windows as miniatures on a dimmed background. Hi Alan, thanks for the tip. I did not know about this. Unfortunately it does not help for my situation either. I hold Command, tap Tab and I do see a graphical list of open apps. I tap Tab more times until one is highlighted. Then I release Command. But if the App I choose is not on the current Desktop (er, Space) then nothing changes, the Apps list just fades away. I wish it would change over to the correct Desktop. I’m rather surprised such fundamental functions require 3rd party apps. OTOH, I’m impressed Apple provides sufficient low-level access that such fundamental functions can be added at all by 3rd party apps. I’ve never been able to get anything on Mission Control except a lot of windows, one behind the other. I couldn’t see the ones behind the front window, so I had to click on the top slice of each hidden window to see it. That made Mission Control worthless. But thanx to the screenshot of Mission Control in the article, I realized I might have the wrong features checked (I had them all checked). So I copied the ones in the screenshot, and now I can see all the windows. Finally! 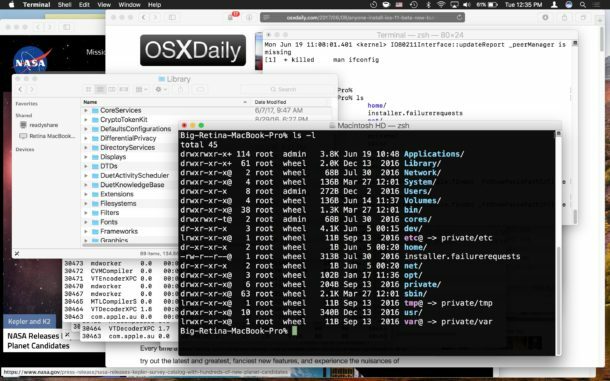 Smokey, the setting for “Group windows by application” was likely enabled for you in Mission Control system preferences. I’ve added a note about disabling that to get the tile thumbnail view in Mission Control. Thanks for mentioning this, it’s a common issue! To my knowledge, Command-Tab shows open applications but not their windows. (There are third party apps that can do that.) I used El Capitan, so maybe Sierra does this; I don’t know for sure. You can hit the F3 button which shows a “menu” of all the desktops. Clicking or hovering a mouse over any one opens them to show Mission Control in the present desktop but a miniature of the *top* app in each desktop which gives me an idea of which desktop I need to switch to by clicking on it. Agree it would be more useful if Mission Control would show ALL open files in all desktops.